Here are more pictures of insects that were taken over the summer 2017. A sign that summer is on the wane are the wandering fuzzy caterpillars looking for a place to make a cocoon. The first picture is of a caterpillar that was wandering, and so I placed it on a plant for pictures. 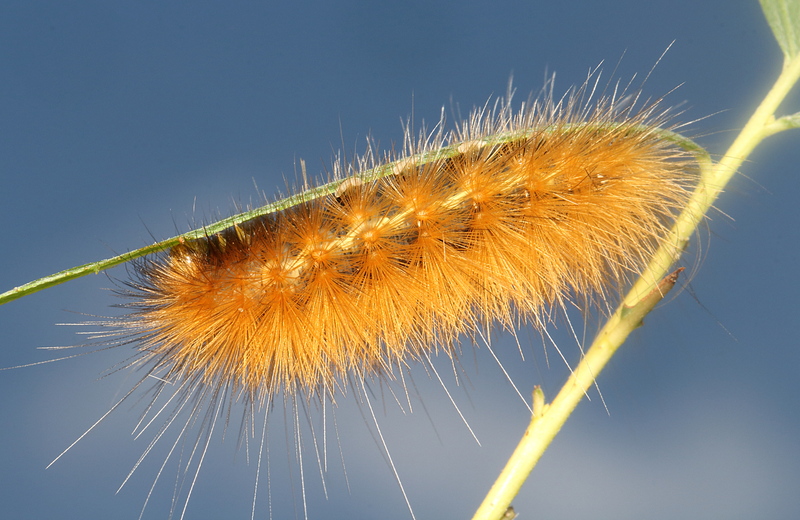 It is the larva of the Virginian tiger moth (Spilosoma virginica). 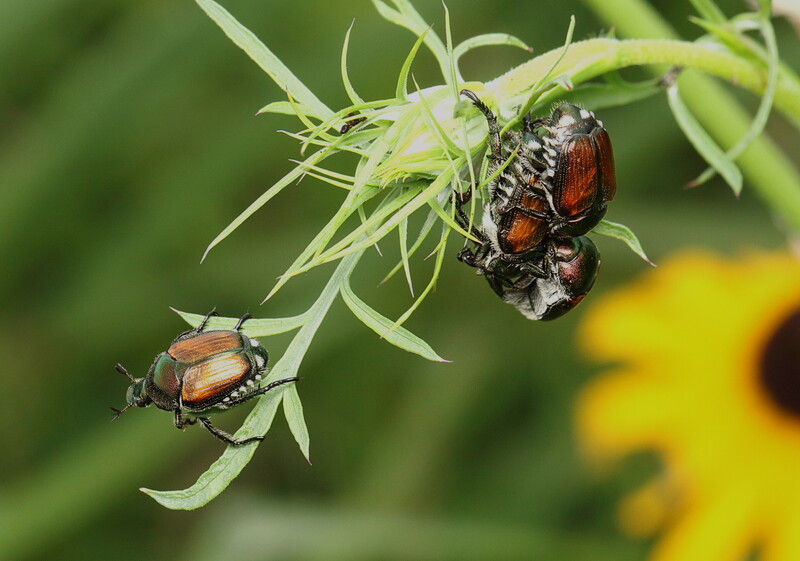 Next are a mating cluster of Japanese beetles (Popillia japonica), with several males contesting access to a female. These are, of course, an invasive beetle that has become a serious crop and garden pest. When I was young I would not see these beetles since their invasion had not yet entered my area. Now they are everywhere, eating the leaves of a variety of plants. But it must be admitted they are also rather beautiful. The odd looking black and yellow wasp in the next picture was completely new to me. It turns out to be Nysson plagiatus, and it has a rather interesting biology in that it is a kleptoparasite. 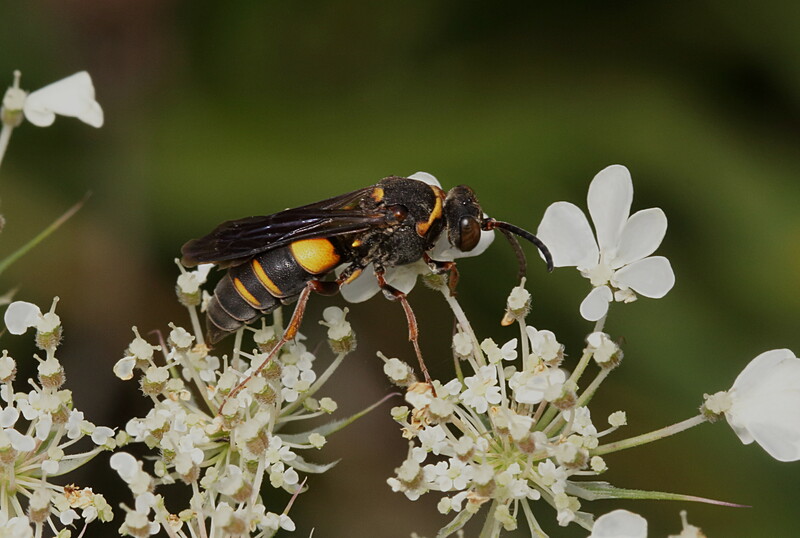 Specifically, it lays its eggs in the provisioned burrows of related wasps like golden digger wasps plus a few other species. The larvae then eat the food provided by the first wasp, which will be paralyzed insects of one kind or another. 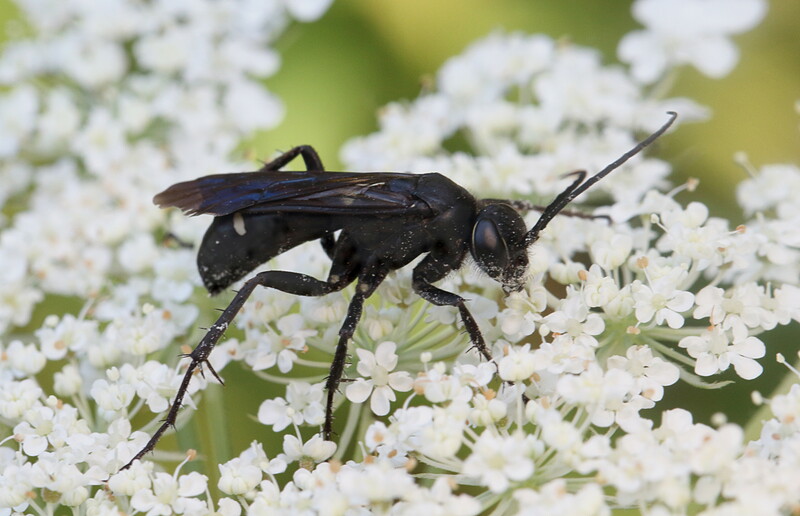 The next picture is of a generally black wasp on pure white flowers (difficult!). This is the one-spotted spider wasp, Episyron biguttatus, which provisions its burrow with paralyzed spiders. 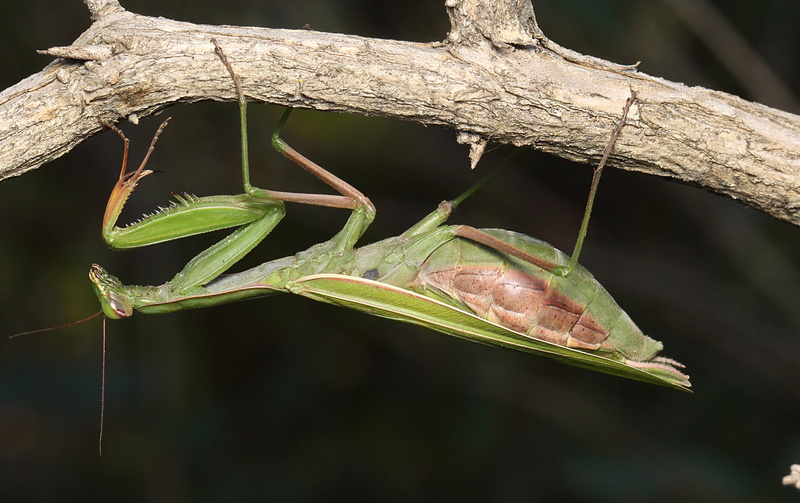 Next are two pictures of European praying mantises (Mantis religiosa). The first is a male. He was extremely anxious to get away from me and would not hold still. I did not press it very hard and soon allowed him to move on. The second is a very pregnant female that I rescued from a busy parking lot. She really needed to put down some oothecae to lighten up! One of the fields that I visit has a very small, temporary-looking pond that is surprisingly popular with the local dragonflies. One day I had visited the location with a friend (who also does macrophotography), and there we saw a dragonfly that was new to both of us. We managed to take a couple of in-flight pictures, and from these they could be identified. 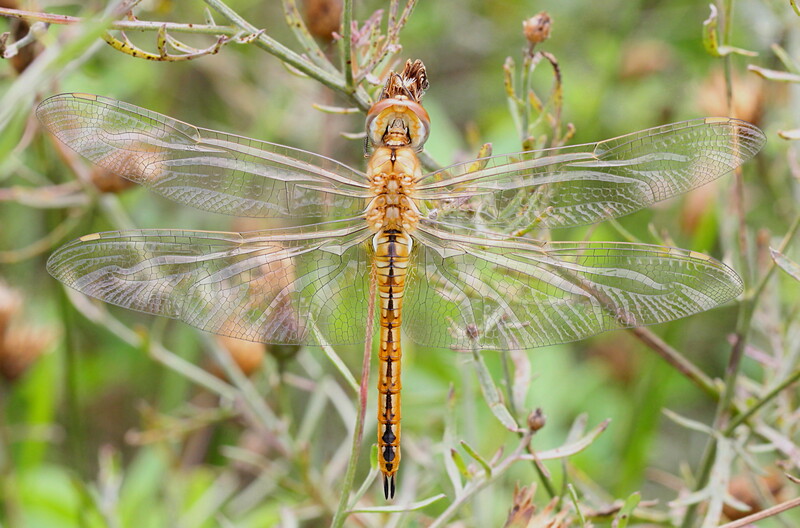 They were wandering gliders (Pantala flavescens), which is an interesting species described in the Ohio DNR field guide—which btw publishes several different free, online field guides—as the only dragonfly that is found worldwide. It is a tremendous traveler and has even been seen far out to sea. Another thing noted was that multiple generations emerge in the summer and it likes to breed in temporary ponds. That explained this sighting. In light of its having multiple generations, I made it a point to return every couple weeks. Sure enough, this paid off as I had hoped with a new generation of recently emerged “teneral” wandering gliders out in the field near the pond. With their new wings, they were unable to fly far and so were easy pickings for the camera. I like how the shiny new wings look like they are made of water. Late in the summer appear numerous purple aster flowers growing in the wild, and these are favored by small bees. 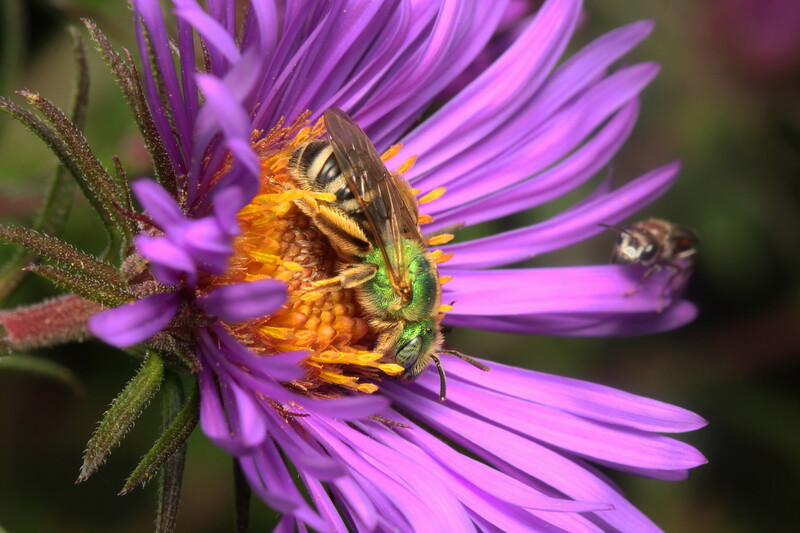 I have become a bit obsessed with photographing the metallic green Halictid bees, a.k.a. ‘striped sweat bees’ (Agapostemon) that are common visitors to these flowers, as the combination of bee and flower colors are simply amazing. The next picture shows a beautiful female A. virescens with an unknown bee admiring the scene. This is one of my favorite pictures from the summer of 2017, and I would encourage readers to embiggen it. I have only recently come to realize that there are at least three different species of green Halictid bees in my area, and I have no doubt misidentified several in my picture collection. So next summer I will want to fill out this species inventory with more pictures that are properly identified. It does not take much to get me talking about the many things I have learned in this hobby! The internet meme shown in the last picture pretty much conveys what this hobby does to people. This entry was written by whyevolutionistrue and posted on January 26, 2019 at 7:30 am and filed under insects, photography. Bookmark the permalink. Follow any comments here with the RSS feed for this post. Both comments and trackbacks are currently closed. …There is unnecessary information about bugs?!? Indeed I embiggened it myself(strongly recommended). It’s like an emerald embedded in gold. If you were ever to bump into me somewhere you would have free reign to share as much information as you wish. Great photos! Beautiful photos! I especially liked the little unknown bee in the photo of A. virescens, looking like he’s patiently awaiting his turn. This past summer I spent a lot of time trying to identify insects and spiders I would come across. It’s amazing what species you find if you just pay attention a bit! Really outstanding pics Mark. Every single one. I swear you have gotten better over time. Not that any of your photos I’ve seen here have ever been less than excellent. Some new equipment or just gaining experience? 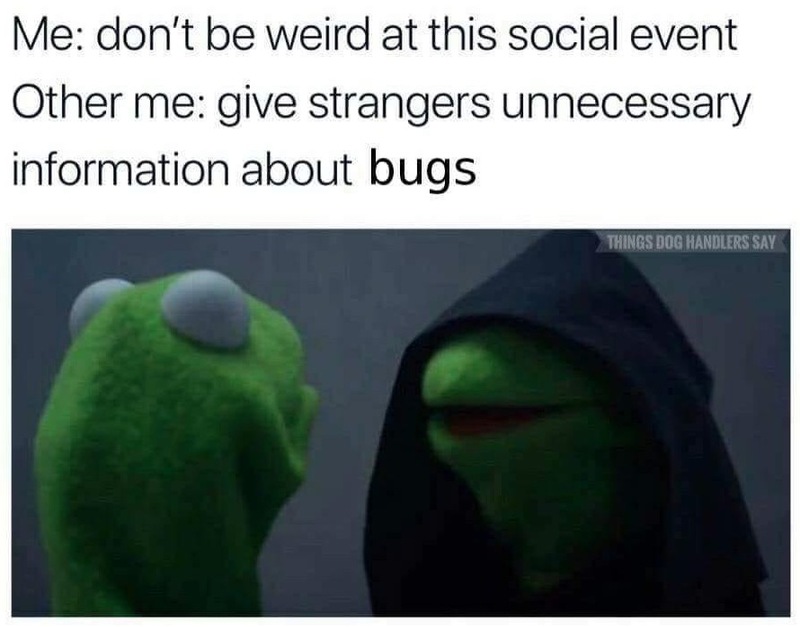 And please, explain all you want about bugs. Thanks! Pretty much the same equipment. I think the biggest difference maker is to frequently check the lcd screen to see how the pictures are coming out, then make adjustments accordingly. Have a clear idea about how you want the picture to look, then try to make it look that way thru the camera settings. Great photos, remarkable detail, lighting, as always. Great treat to see in the cold of winter. These are excellent Mark. As others have noted, your skills have improved over the years. It shows you enjoy the hobby, and the more you enjoy, the better you’ll get. 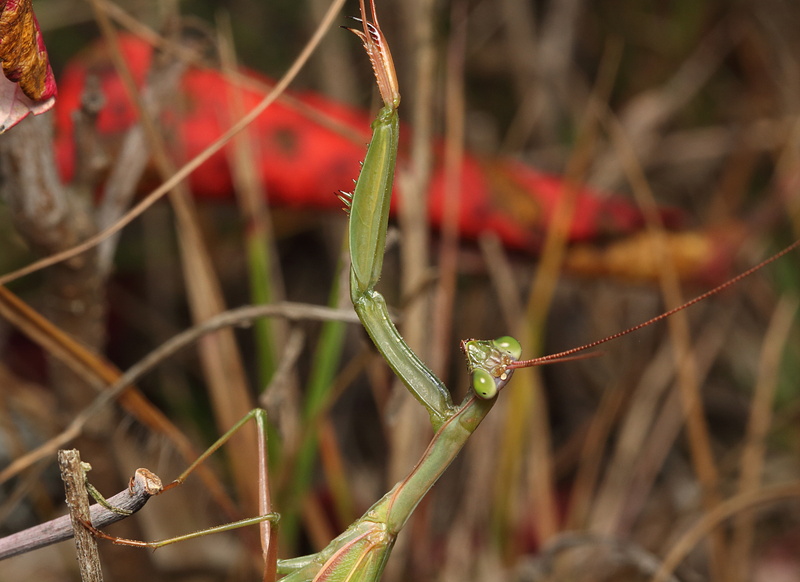 Always love your arthropod photos, Mark. Thanks! !